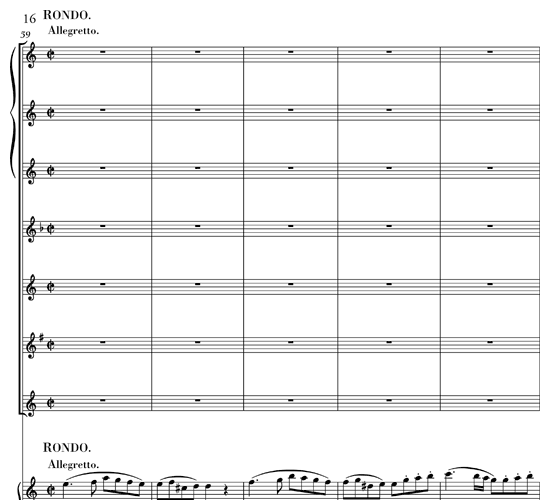 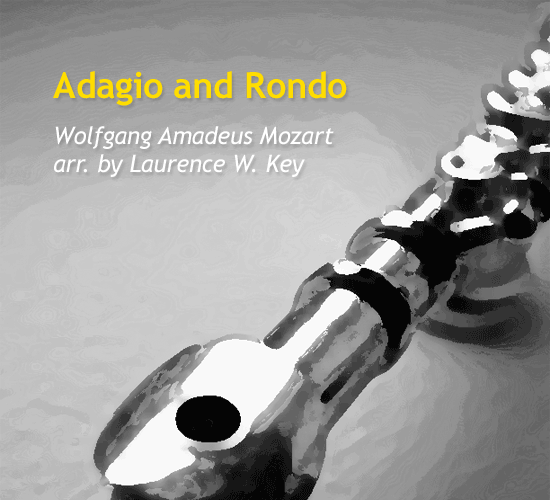 This is one of the last pieces that Mozart completed. 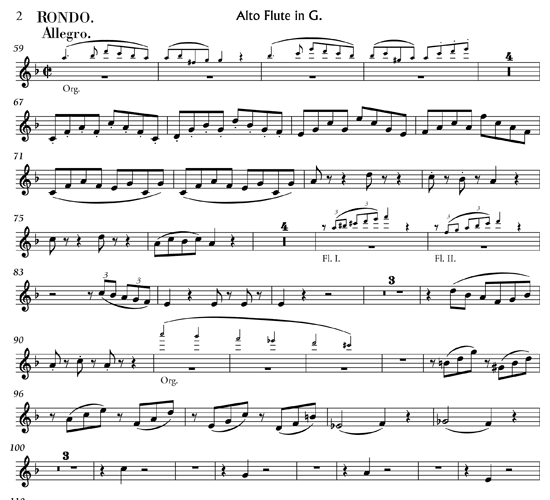 It was written for his cousin, who was a talented performer on the Glass Harmonica. 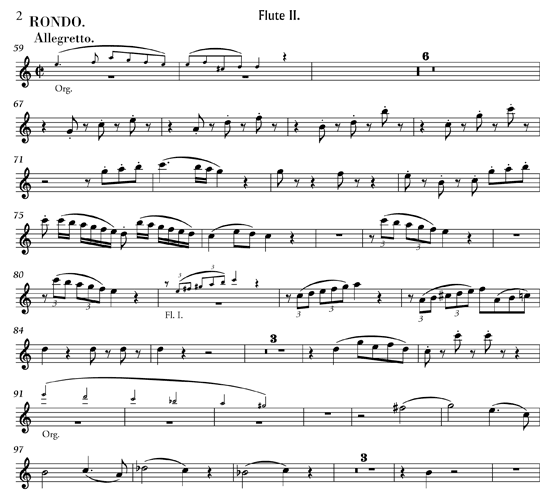 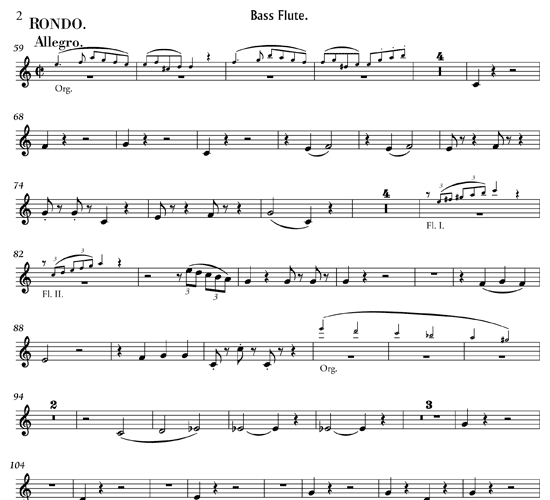 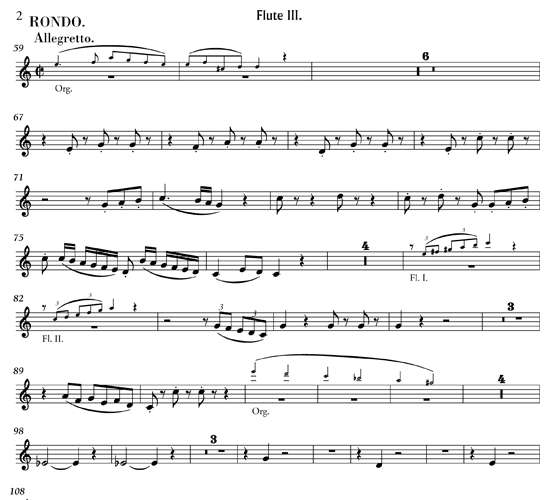 This version for Flute Choir with Organ is ten minutes of pure bliss! 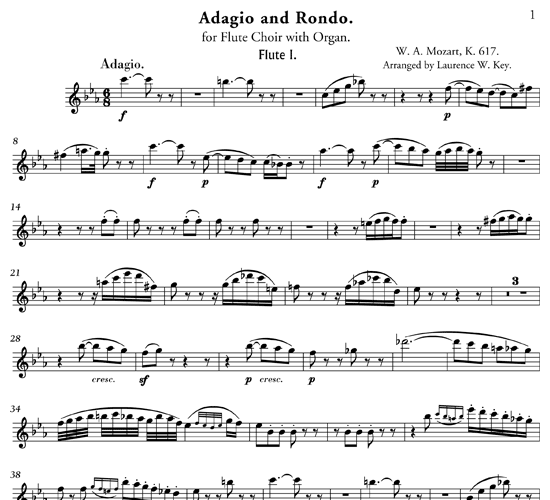 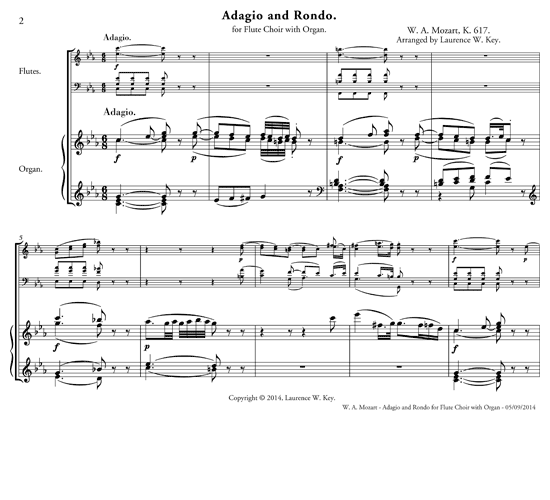 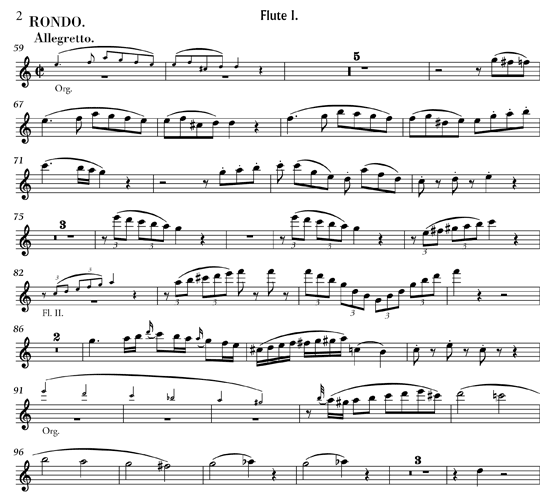 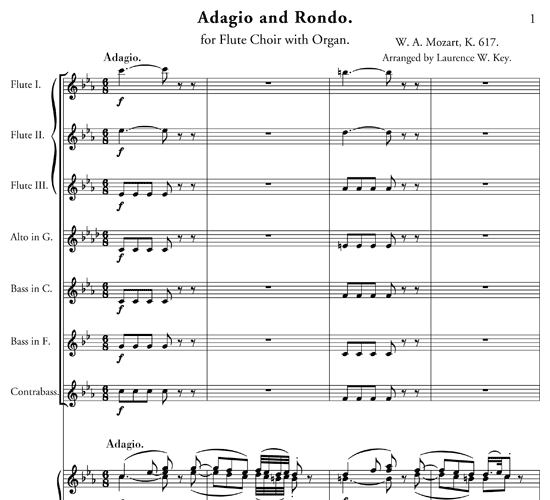 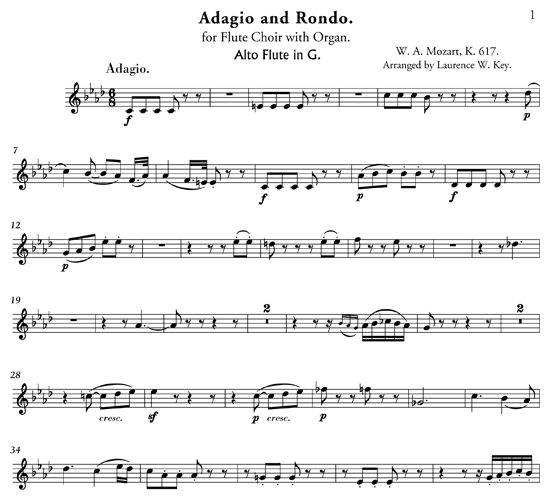 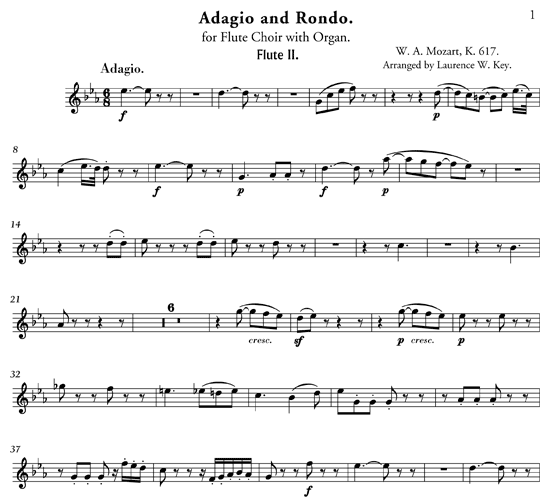 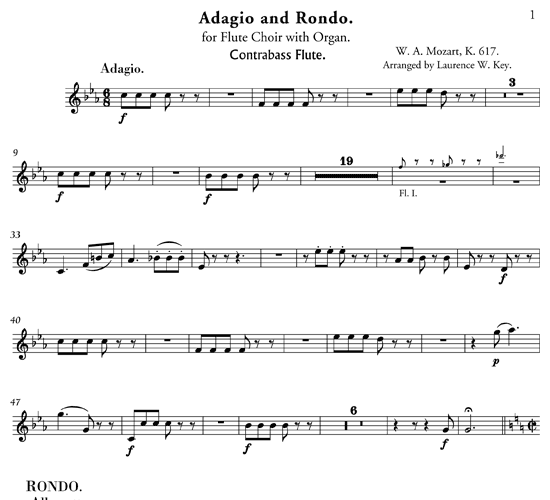 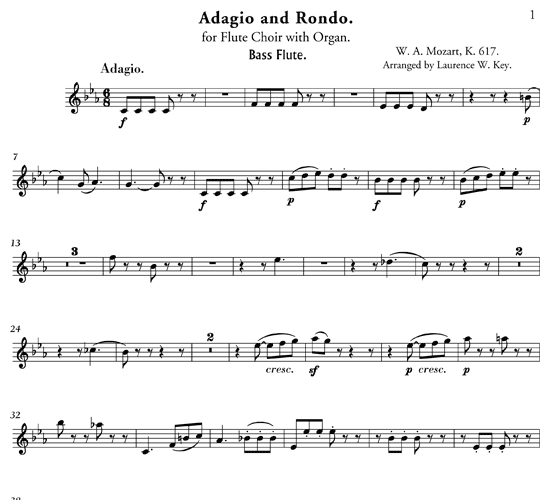 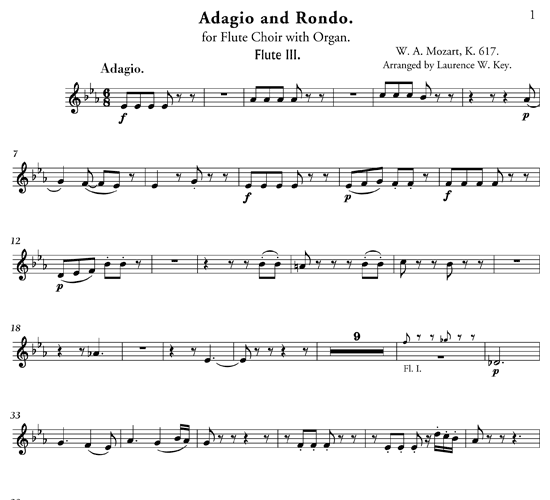 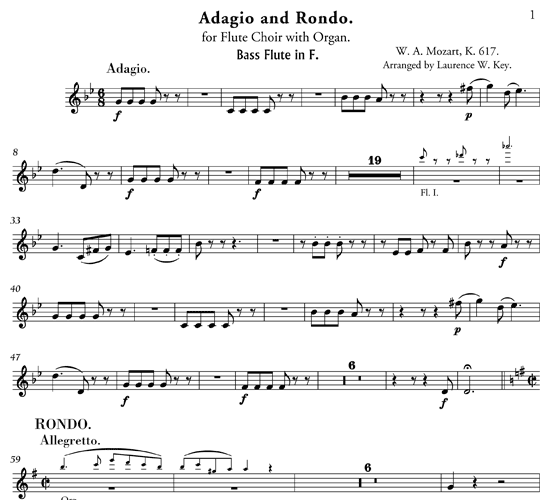 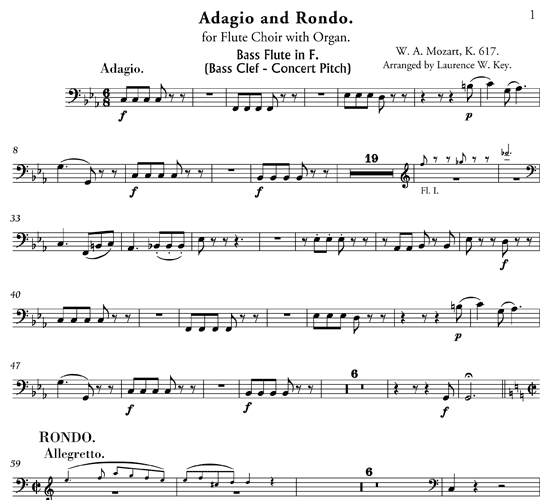 http://www.scorevivo.com/wp-content/uploads/2014/06/mp3-adagio-and-rondo-by-laurence-w-key.mp3Performed by an automated synthesizer.